Boardroom is a brand new climbing centre in North Wales which opened in late 2013 offering ‘everything climbing under one roof’. 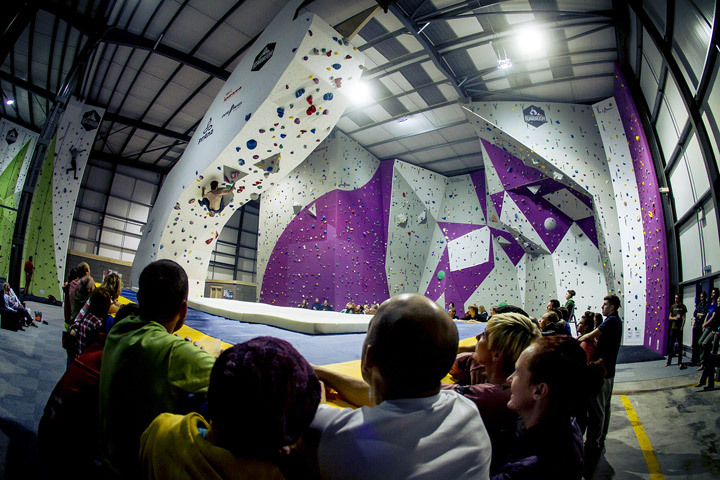 With several climbing walls of varying heights and complexities with over-hangs and shadowing issues, the owners were finding it incredibly difficult to find a suitable low-energy lighting solution. The centre is also open long hours, from early morning through to late into the evening so the operating hours for the required lighting will be high. 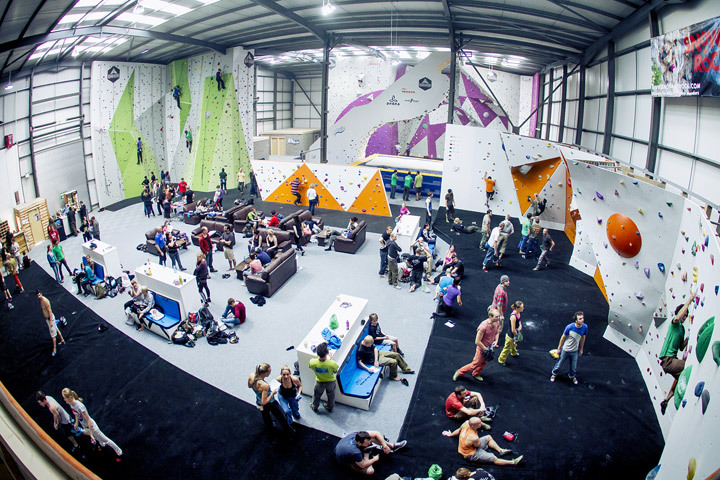 The challenge was to find the right lighting solution for their climbers, with a keen eye on controlling energy running costs and minimising maintenance, so they called in the LED lighting experts. We designed a lighting plan to suit the needs of the centre and trialled some units to ensure the client was happy with the results, which of course they were. A mixture of mid-bay, flood lights, down-lighters and panel lights were supplied as a complete lighting scheme including external entrance and signage lighting. The results are visually stunning and minimize shadowing on the climbing walls due to the mid-bay Saturn LED units being able to adjust the direction and spread of the light they emit. The centre now has a reliable, zero maintenance lighting solution that costs around 70% less to run in energy costs compared to using traditional light fittings.